Don’t worry… as with Wednesday morning, we’re not just gonna come right out and tell you who’s progresses, just in case you didn’t get up in the middle of the night to watch the second semi final and you’d like to go through life blissfully unaware ’til SBS retelecasts it tomorrow night. 17 countries competed in the second semi final overnight, with ten of them moving through to tomorrow night’s Grand Final, where they’ll take on the big five of Italy, Spain, France, Germany and the UK, along with host nation Austria and us… wildcard Australia. Poor Czech Republic. After sitting out the competition for the past five years, they came storming back in 2015 with a tune laced with harmonies, courtesy of vocalists Marta Jandová and Václav Noid Bárta, both of whom had a history of singing with heavy metal bands. Those raspy voices clearly didn’t impress the voters, however; gone at the first hurdle. ‘Unbroken’ was a song that we thought stood a good chance of making it through to the Grand Final, to be honest. 21 year old María Ólafs delivered the single, which we said had “universal appeal”, but clearly we were wrong! Amber Bondin performed ‘Warrior’ in the hopes of taking Malta through to this year’s Eurovision Grand Final. But thought the song was big and dramatic, it wasn’t quite what the voters were looking for; the Maltese eliminated after the second semi final. It’s sad to think that performing a song in your native tongue these days has the rest of your continent thumbing their nose up at you, but that’s precisely what’s happened again for Portugal. Despite competing in all but four years since 1964, they’ve never won and have never placed top five. Well… at least they’re consistent. 16 year old performers Michele Perniola and Anita Simoncini were no strangers to competition, having participated in Junior Eurovision contests in previous years. And though they brought their youthful exuberance, they also brought a song that was nothing special. Combine that with position three in the semi final and they’re out. Aaah Melanie. Yes, you wrote a song called ‘Time To Shine’, thinking that its positive message would whisk you through to the main event. How wrong you were. “It’ll be the only time we’ll be hearing ‘Time To Shine’ at Eurovision 2015 simply because there are far better tracks,” we said in our original story. Ding. 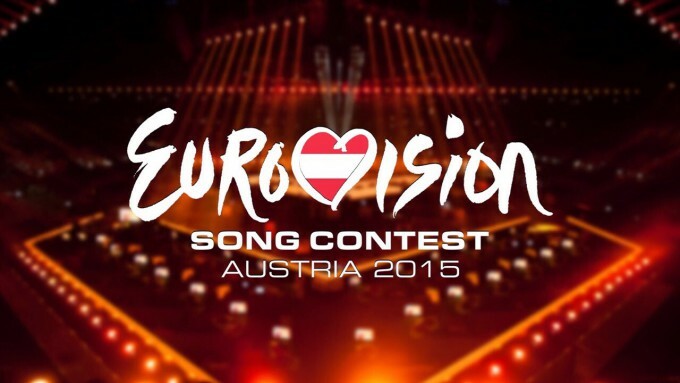 Azerbaijan, Cyprus, Israel, Latvia, Lithuania, Montenegro, Norway, Poland, Slovenia and current favourite Sweden.